STRI and Smithsonian Libraries staff celebrate the Libraries’ 50th Anniversary with an Open House. Photo courtesy of Sean Mattson, STRI. The STRI library is the only branch of the Smithsonian Libraries based outside of the United States and is one of the most comprehensive resources for tropical biology and conservation in the world, serving the international and local scientific community, biology students, and the public at large. STRI Director Matthew Larsen welcomed those attending by emphasizing the importance of the Tupper Library in support of visiting scientists and the local scientific community. SIL Director Nancy E. Gwinn thanked “STRI and its community for the support they have given us over the years. It’s been a wonderful partnership and synergy.” Director Emeritus Ira Rubinoff and SIL Deputy Director Mary Augusta Thomas outlined the history of the Library, which parallels the history of STRI, from the 1923 origins of the Institute for Research in Tropical America on Barro Colorado Island, to the mid-1940s, when the facility was renamed the Canal Zone Biological Area and subsequently incorporated into the Smithsonian Tropical Research Institute in 1966. Reference Librarian Angel Aguirre gave an engaging talk on the personnel of the STRI library, complete with contemporary and historical photos and personal insights. Library Technician Ricardo Beteta described the evolution of the research process, from card catalog to online database, and the challenge of maintaining collections in a tropical environment. 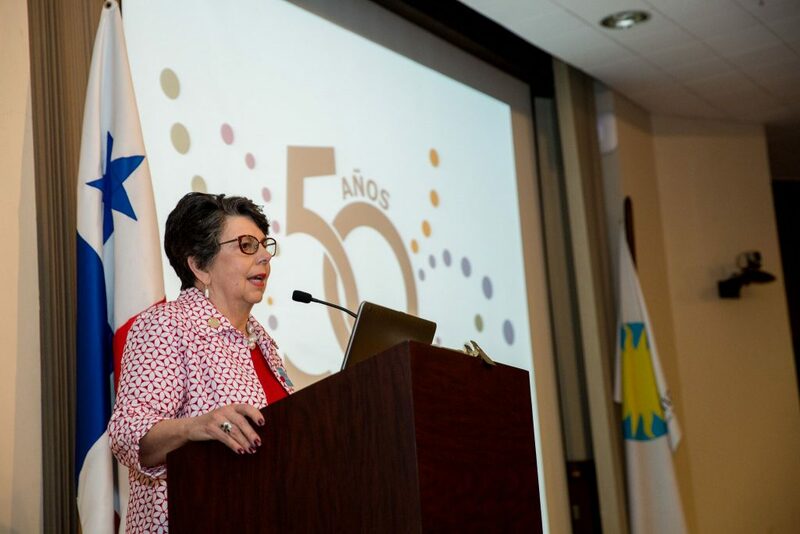 Smithsonian Libraries Director Nancy E. Gwinn speaks at the STRI 50th Anniversary celebration. Photo courtesy Sean Mattson, STRI. 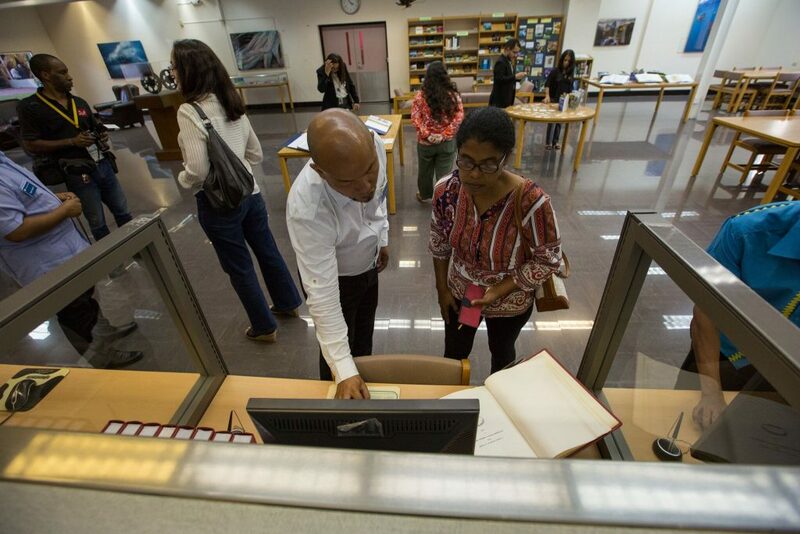 The STRI Library will continue to support the important research and impact of STRI scientists as well as to continue to collaborate with the Panamanian community by offering access to library collections for students and researchers, and to provide professional development opportunities for library students in Panama and Central America. Together, we look forward to continuing the excellence of the Smithsonian Libraries. 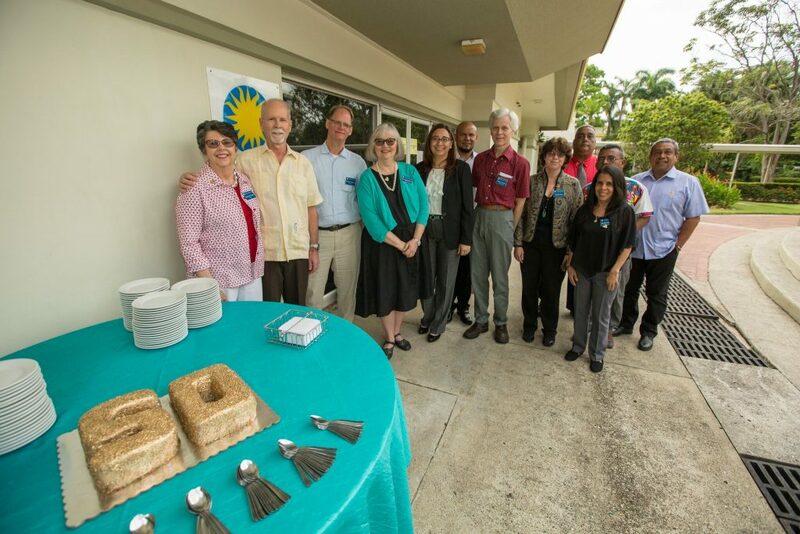 After the speeches, the community attended a reception and Open House in the Library, where staff discussed featured exhibits, including historic photos and publications, and the famous 19th and early 20th century title: Biologia Centrali Americana, one of the founding titles of the branch and the online Biodiversity Heritage Library. STRI visitors browse a selection of library materials. Photo courtesy Sean Mattson, STRI. The STRI branch collects research, research-oriented, academic and highly technical materials in areas of study including animal behavior, anthropology, microbial ecology, forest biology, genetics, marine science, the Panama Canal and its watershed, and a host of other areas of tropical biology and research policy. The collections include +34,000 monographs, +400 print serial titles and microfiche, 500 maps and provides access to all SIL electronic resources and research services. The Special Collections protects over 600 monographs important to the history of STRI and Panama. The STRI Library and its Annex are located at Portobello Avenue, Ancón, Panama City. The Branch has three sublocations on Barro Colorado Island, at Galeta Point Marine Laboratory, and at the Bocas del Toro Research Station. 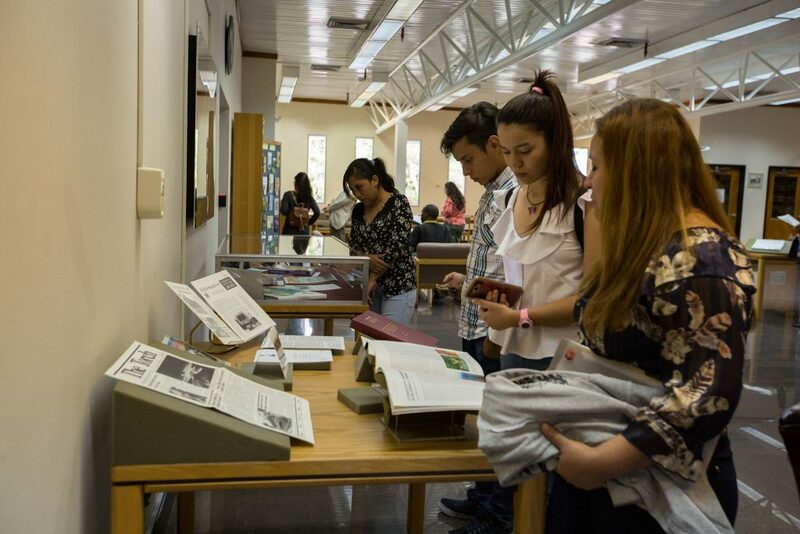 The Library supports research at field stations throughout the country, publications, exhibits and public programming of the Institution, as well as those of other museums and research institutions in Central America and Panama. In 2017, the Library hosted over 3,000 patrons, 1,100 of which were non-STRI visitors, and provided reference to 3,700 queries. Other ways that the Library supports STRI scholarship include maintaining the STRI Bibliography through Smithsonian Research Online, offering materials for the Biodiversity Heritage Library, and through trainings and presentations. Visitors peruse collections from the STRI Library. Photo courtesy of Sean Mattson, STRI.